Jazz Appreciation Month climaxes tomorrow, April 30, with International Jazz Day events in D.C., Baltimore and everywhere, but you can first enjoy jamming treats tonight at Westminster Presbyterian Church where a Tribute to Wes Montgomery features Paul Pieper on guitar, Wade Beach, piano, Emory Diggs, bass, and Johnny Jones, drums. Also tonight, Buster Williams’ “Something More” is at Blues Alley and is there through Sunday, with Bruce Williams, Rene Rosnes and Jeff “Tain” Watts; and the Nicole Saphos Quartet is on stage at Twins Jazz, through Saturday night. The John Lamkin “Favorites” Jazz Quartet performs Saturday from noon to 2 pm at Lexington Market in Baltimore (www.baltimorejazz.com), where the next day, Sunday, sax master Joe Lovano performs at the Baltimore Museum of Art (www.baltimorechamberjazz.com). 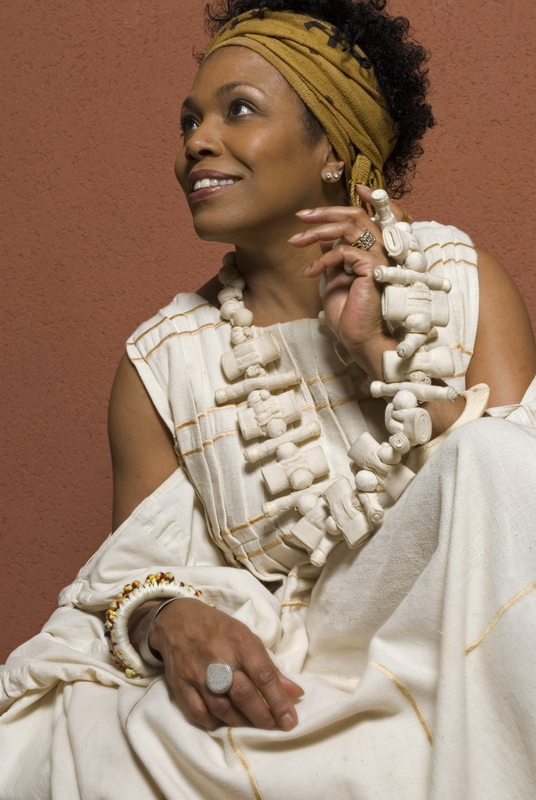 performs April 30 with Dianne Reeves. International Jazz Day events April 30 begin in D.C. at 10 am with Herbie Hancock and Dee Dee Bridgewater and Duke Ellington School for the Arts students teaming with including D.C. Mayor Muriel Bowser and UNESCO Director Irina Bokova for a program at DuPont Circle. Events continue with Bridgewater and others in a Jazz & Women panel discussion at the National Museum of Women in the Arts, a screening of “Round Midnight” at THEARC in S.E. 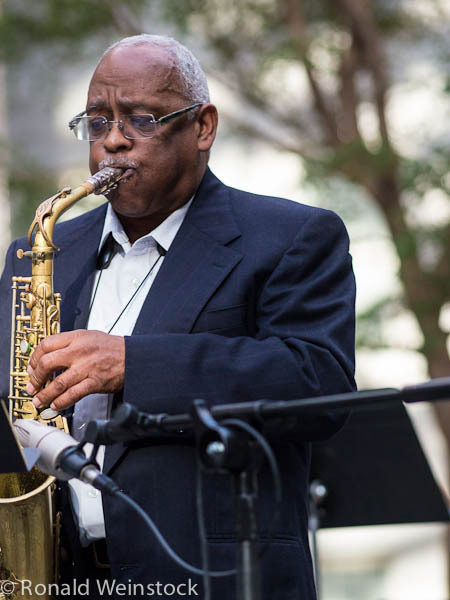 and then music all day at the DuPont Circle stage with Crush Funk Brass, the Woodrow Wilson High School Jazz Band, the Davey Yarborough Quintet, Nasar Abadey Quartet and more. Elsewhere there are more movie screenings and music at the National Sylvan Theater, including Paul Carr’s Jazz Academy Orchestra and the Bowie State University jazz band; and there is a kids show with vocalist/entertainer Rochelle Rice at the Petworth Recreation Center, Dianne Reeves with Abadey, Cyrus Chestnut and James King at the Smithsonian Museum of American History; Janelle Gill, Michael Bowie and Sharon Clark at the Warner Theater and other dance, panel discussions and performances elsewhere, including the UDC Jazztet featuring sax man Jordan Dixon at Acacia Bistro & Wine Bar at 4340 Connecticut Ave. N.W. (www.jazzalivedc.org) and the Todd Marcus Quartet at the Capital Fringe, 1358 Florida Ave. N.E. (www.toddmarcusjazz.com). Baltimore International Jazz Day events include Global Rhythms: Jazz Around the World with vocalist Renee Georges & The Georjazz Quartet at Germano’s Piattini and the Mark G. Meadows “To The People” CD release concert at An Die Musik. And in College Park, The University of Maryland School of Music Jazz Studies Combo Recital is at Gildenhorn Recital Hall in the Clarice Smith Performing Arts Center. See http://www.jazzday.com for complete information on event times and ticket information. 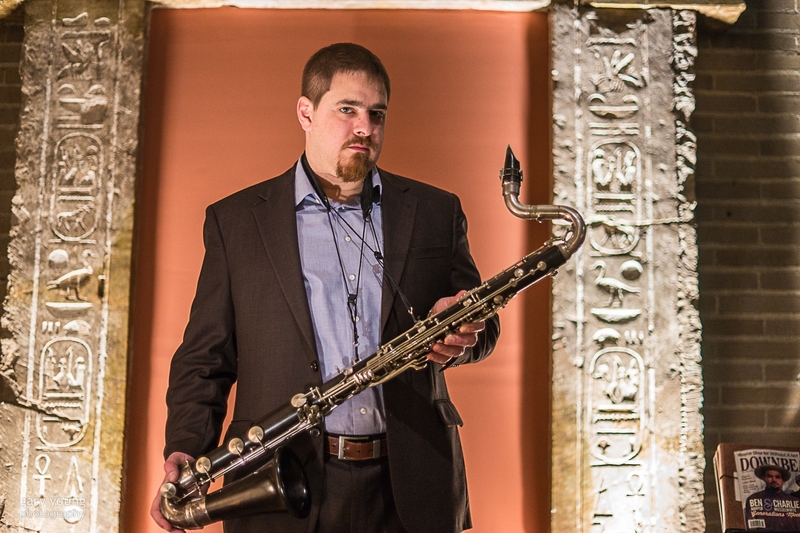 A busy man–Todd Marcus plays for International Jazz Day April 30 at the Capital Fringe and with his quintet May 19 at the Mansion at Strathmore, and May 21 at Caton Castle in Baltimore, among other gigs. May jazz highlights, besides Buster Williams Sunday at Blues Alley, and Joe Lovano in Baltimore, include pianist Laurence Hobgood playing for the Arts Club of Washington concert at 7 p.m. Monday May 2 at the Arts Club, 2017 I Street N.W. (www.pianojazz.com); Arturo Sandoval May 5-8 at Blues Alley; Laura Dreyer May 6-7 at Twins Jazz; DeAndre Shaifer May 8 at the DC jazz Jam at The Brixton; the Robert Glasper Trio at the DoubleTime Jazz Show May 13 at THEARC (www.thearcdc.org); the Mary Lou Williams Jazz Festival May 13-14 at the Kennedy Center; Pete Muldoon May 15 at The Brixton; Todd Marcus Quintet May 19 at the Mansion at Strathmore, and May 21 at Caton Castle in Baltimore; the Tim Whalen Septet May 20-21 at Twins Jazz; Helen Sung May 21 at Smithsonian Anacostia Community Museum; Kenny Rittenhouse May 22 at The Brixton; the Makanda Project May 21 at Michigan Park Christian Church (see below); Twins Jazz Orchestra May 26 at Twins Jazz; the Larry Coryell Trio May 27-28 at Blues Alley; Akua Allrich & The Tribe May 29 at Blues Alley; and saxophonist Sarah Hughes May 29 at Twins Jazz. This year’s Mary Lou Williams Jazz Festival hosted by Dee Dee Bridgewater at the Kennedy Center celebrates the life and work of pianist, educator and bandleader Williams with two days of varied events, including on May 13 a “staged concert presentation of “A Conversation with Mary Lou Williams.” Directed by Golden Globe and Emmy Award–winning actor S. Epatha Merkerson (Law & Order, Lackawanna Blues) it will feature dialogue, vignettes of Williams’ life and music performed by a group led by pianist Geri Allen and vocalist Carmen Lundy. Saturday May 14 features home girl percussion master Allison Miller’s Boom Tic Boom group, performing tunes from the new recording “Otis Was a Polar Bear” and also groups led by Canadian saxophonist/flutist Jane Bunnett and drummer Terri Lyne Carrington. See http://www.kennedycenter.org for more information. 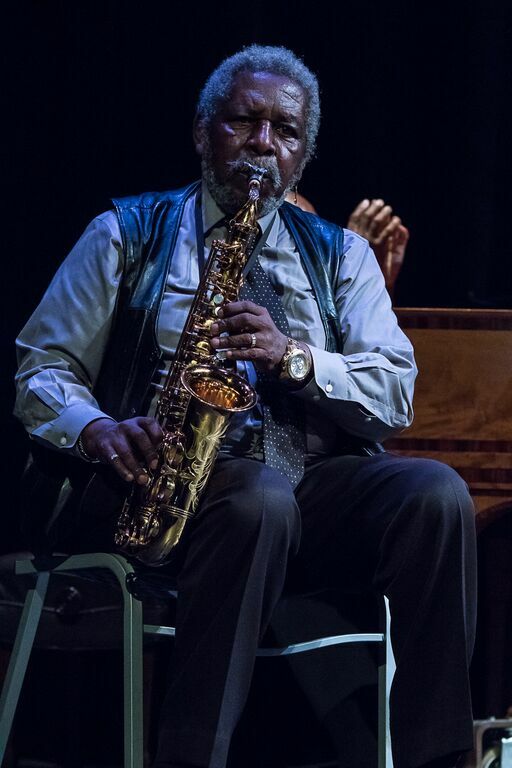 The Rhythm Café jazz series, a free jazz artist education and concert program, has been featured several times a year over the past five years at the Smithsonian Anacostia Community Museum, including a show earlier in April with the Howard University Jazz Ensemble celebrating Jazz Appreciation Month. In May the Helen Sung Trio performs jazz standards and originals by Sung from 2 to 4 p.m. May 21 at the museum, 1901 Fort Pl. S.E. This event is also being held in observance of Asian Pacific Islander Heritage Month and in addition to her performance, Sung is to talk briefly about how jazz culture developed within the Pacific rim—especially Korea. 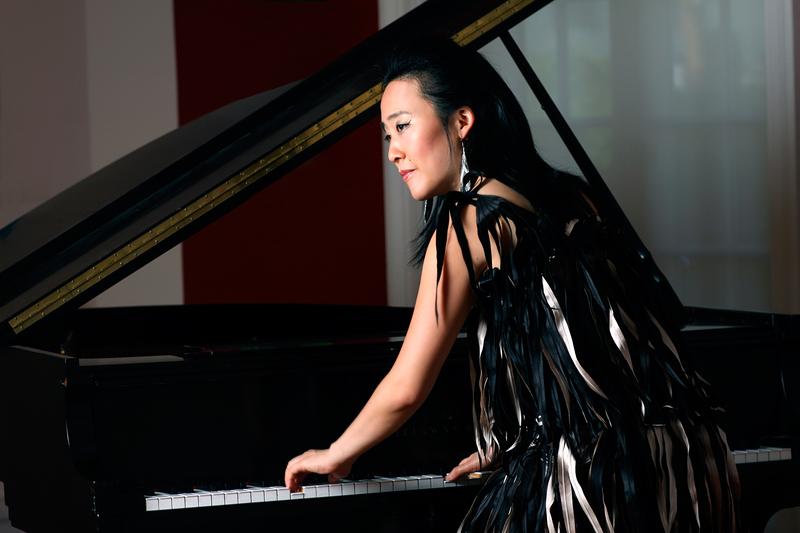 Based in New York, Sung is a graduate of the Thelonious Monk Institute of Jazz Performance at the New England Conservatory, and has worked with many leading lights of the music, including Clark Terry, Ron Carter, Wayne Shorter and Regina Carter. See http://www.anacostia.si.edu/events for more information. The Makanda Project returns to D.C. May 21 for a 6:30 p.m. concert again at Michigan Park Christian Church (202-526-3355), 1600 Taylor Street N.E. Led by former area pianist John Kordalewski, the Makanda Project is an ensemble “dedicated to performing the previously unrecorded compositions” of the late Makanda Ken McIntyre, a dynamic musician and composer who specialized in innovative improvisational music, and was comfortable playing both “inside” and “outside,” according to the project’s website, http://www.makandaproject.com. His works included compositions for woodwind quartets, chamber ensembles, jazz bands and full orchestras, and music covering ballads, calypsos, bebop, avant garde and the blues. Based in Boston, McIntyre’s hometown, and formed in 2005, the group coming to D.C. includes pianist Kordalewski, Ku-umba Frank Lacy, trombone, Wes Brown, bass, Yoron Israel, drums, Joe Ford, alto saxophone and Mickey Davidson, dance. Coming soon, June 10-19 — with the prelude event June 4-5 at The Phillips Collection — the DC Jazz Festival brings more jazz all over town with Jazz at Hamilton Live, Jazz at The Yards, Jazz in the ‘Hoods with star-studded performing lineups including Regina Carter, Harold Mabern, Maceo Parker, Kurt Elling, Joey DeFrancesco, Cecile McLorin Salvant, Eddie Palmieri, Fred Foss, Kamasi Washington, many others and a night celebrating Howard University Jazz at the Kennedy Center with Benny Golson, Dr. Fred Irby of the Howard University Jazz Ensemble, jazz studies founder Dr. Arthur Dawkins, Tim Warfield, Greg Osby, Richard Smallwood, Cyrus Chestnut, Paul Carr, Afro Blue and more. during the upcoming DC Jazz Festival. Also the new DCJazzPrix semifinalists, including D.C.’s Mark G. Meadows and The Movement, and New York bands New Century Quintet and Cowboys and Frenchmen, will perform June 18 at The Yards in the first annual national competition to recognize and support “top rising jazz band talent.” The audience response will be a factor in the jury’s determination of the winner. Aside from gaining “significant exposure,” the winner will also be awarded a $15,000 cash prize and year-long association with the DC Jazz Festival to help with professional development, as well as business support and a main stage 2017 DC Jazz Festival paid engagement. 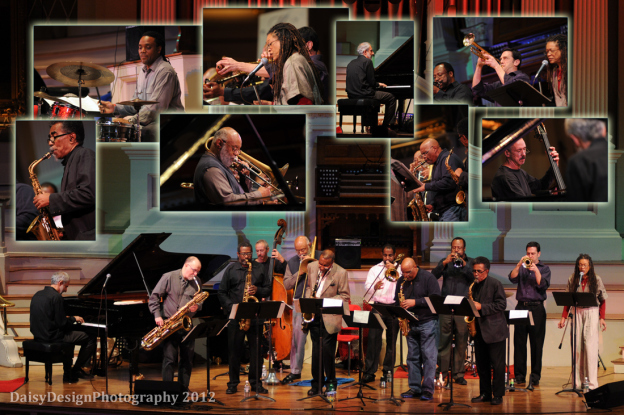 See http://www.dcjazzfest.org for complete information. Celebrating 30 years of big band jams at the University of the District of Columbia, the Calvin Jones Big Band Festival 2016 swung as hard as the previous editions April 25 with the Howard University Jazz Ensemble’s bright, bopping sounds on “Ah Rah (the toad),” accented by sweeping horns harmonies and Rick Peralta on guitar, and the group’s lovely treatment of John Coltrane’s “Central Park West” featuring a sparkling original arrangement by Joe Wright. The University of Maryland Jazz Ensemble played a spicy “It’s A Heavy Town” by Donald Byrd, highlighted by some searing lines by Steven Cunningham on trumpet, and “Metroliner” was a hot romp spearheaded by Brendan Schnabel on tenor sax. UDC’s Jazz Ensemble, led by jazz studies guru Allyn Johnson on piano closed the evening in style first with superb, free-flowing melodies on Wayne Shorter’s “The Big Push,” DeAndre Shaifer on trumpet and Jordon Dixon on tenor sax delivering fine solos, and later what may have been the highlight of the night, the Johnson original “Somalia Rose,” with Dixon shining again on tenor sax and Douglas Pierce’s soaring lines on trumpet complimenting Johnson’s elegance on piano. 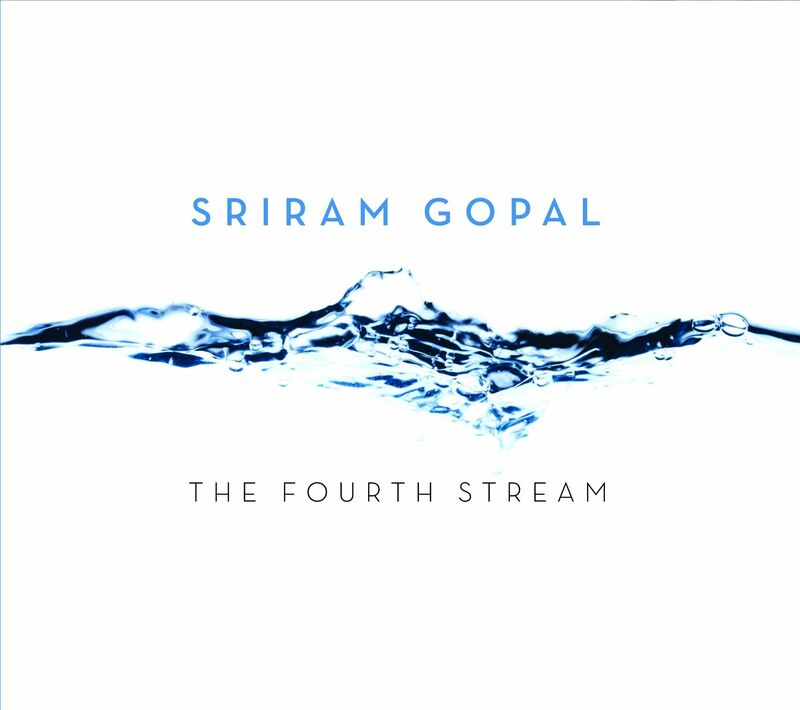 An impressive recording by percussionist Sriram Gopal, one of our area musician/journalists, “The Fourth Stream,” brings us a fresh sound. Gopal has put together some sterling musicians, including guitarists Rob Coltun and John Lee, and bassists Kris Funn and Michael Bowie for a symphony of a recording that brims with electricity, melding South Asian echoes, rock, funk and more than a little jazz. Highlights include the dramatic, marching, “Zarafah” with its edgy, spicing guitar flights; the whipping “Nadia,” a catchy, jamming melodic romp; the intriguing, lilting “Como Pod’a Groriosa,” and the sax driven jam “Something Good,” and the hard-rock flavored “Sink.” But all of it is a compelling listen, powered by Gopal’s insistent, high powered when appropriate, and always driving and melodic drum work. Happy New Year! 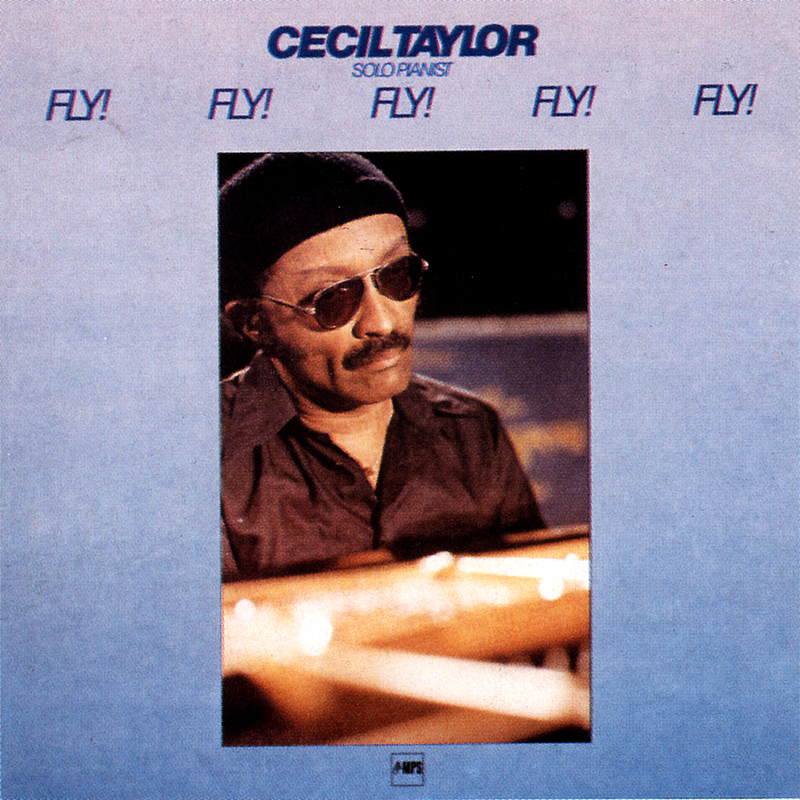 In that we are graced to have had the reissue earlier this year of two gems by Cecil Taylor, courtesy of MPS Records. “Live in The Black Forest” from 1979, and “Fly! Fly! Fly! Fly! Fly!” from 1981 are welcome signposts of the journey Taylor has fashioned as one of the main proponents of the avant garde or free jazz movement from the late 1950’s to the present and into the future that fertilizes the music with ever new paths to travel for all artists. Taylor’s river of sounds, rushing, flowing gently, splashing and pouring, is well reflected on these two recordings, albeit in very different ways. 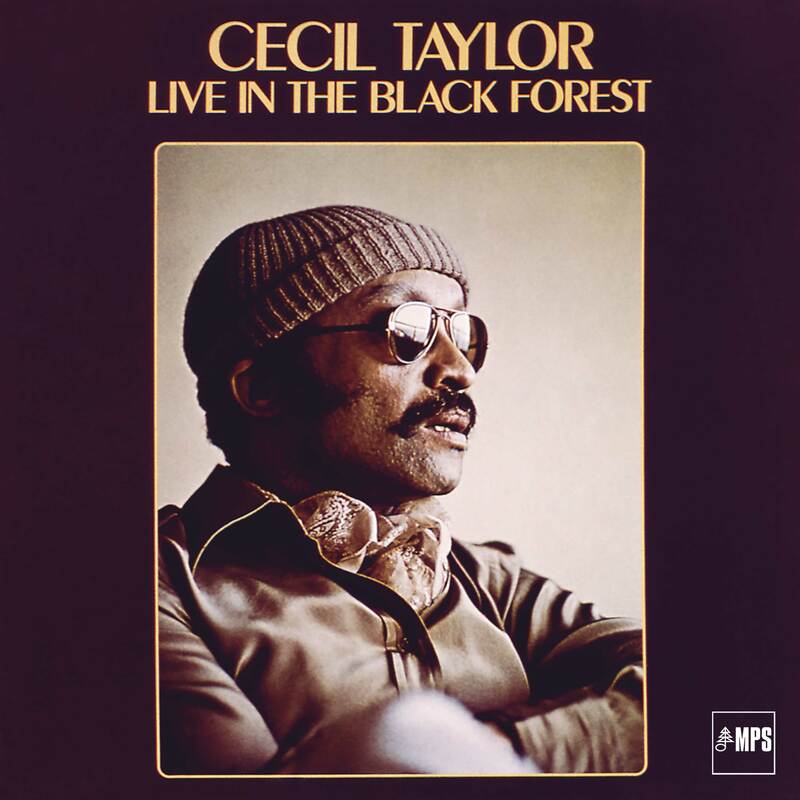 “Live in The Black Forest” features Taylor as orchestrator and maestro, with cohorts alto saxophonist Jimmy Lyons, trumpeter Ralphe Malik, bassist Sirone and drummer Ronald Shannon Jackson providing their own unique improvisational flights around the grounding of Taylor’s piano work. Two tunes make up the CD. The first, “The Eel Pot,” shimmers with the bass work of Sirone and Jackson’s drumming to open under Lyons’ and Malik’s harmonic, then solo like spurts, all with Taylor’s rippling, darting piano melodies, and from there the symphony spotlights each player in ensemble and in solo form, a whole and then pieces of a pie, all blending. “Sperichill on Calling” fairly marches behind Jackson’s rat a tat rapping, under Lyons’s fiery squawks and squeaks and rolls, with Sirone plucking bluesy, grooving, then he is picking tightly, Taylor rollicking himself, up and down the keyboard, then pounding, poking, before the strident march mellows under Malik’s trumpet ruminations, and gradually the tension builds again toward a then gradually temperate finale. “Fly!” times five, if you will, is a vintage tour de force Taylor solo journey, a more intimate, more patient traveling river of gentle twists and turns, accented by some sharp rushes and ripples. Notably “The Stele Stolen and Broken is Reclaimed” displays Taylor’s skill at producing free form melodies that all have a rhythm, a rhyme, a reason, and a compelling drive that holds. Far from being so abstract as to be pointless, one might say the best free jazz always has something pulling it together. The intriguing staccato pace of “Enaslayi” and the colorful, weaving soliloquies of “Corn in Sun +T(Moon)” are other examples of Taylor’s mastery of storytelling through free from expression. Anytime is a good time to get into some Archie Shepp, but especially now since it was just this April that Shepp, along with Pharoah Sanders, Gary Burton and Wendy Oxenhorn, were honored as National Endowment for the Arts Jazz Masters at a gala ceremony at the Kennedy Center here in D.C. (see the video archive of the event at http://www.arts.gov). 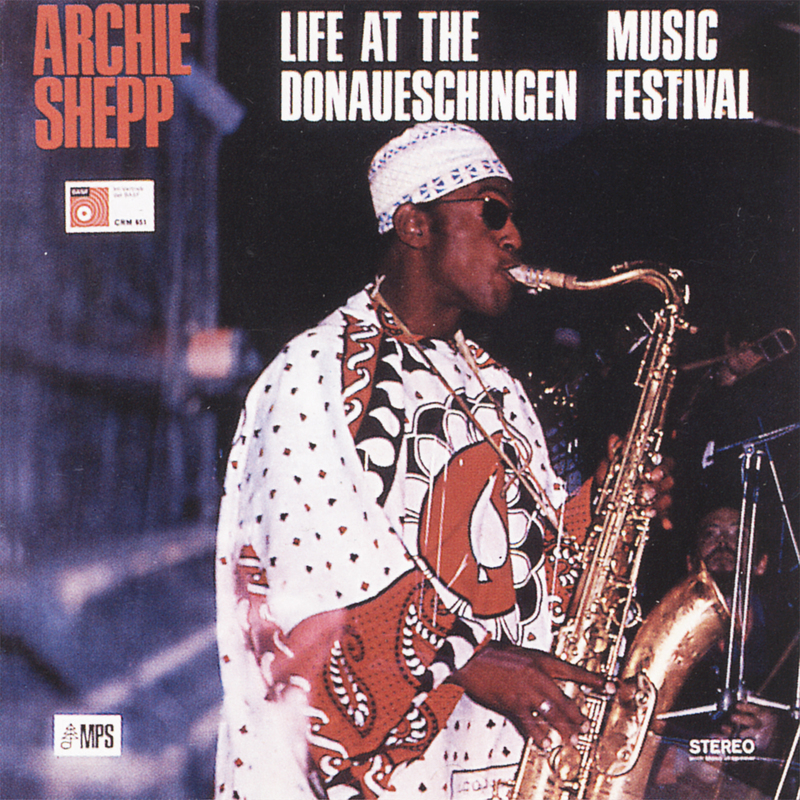 So it is more than appropriate that we thank MPS Records for their reissue earlier this year of Shepp’s 1967 recording “Life At The Donaueschingen Music Festival.” As the liner notes indicate, the One For Trane, two-part composition on the recording was dedicated to John Coltrane, who had died earlier that year. Shepp’s all-star band mates for the date were trombonists Roswell Rudd and Grachan Monchur, drummer Beaver Harris and longtime Coltrane collaborator bassist Jimmy Garrison, who leads off the first “One For Trane” section with some delicate, then more urgent plucking and bowing, before Shepp whips things up with his always insistent tenor squawls, squeals, squawks and rips and roars over Harris’s drumming, then all the horns join in for a romp, featuring their individual riffs and spirals on the melody, Harris splashing along, and Garrison nimbly grooving a bluesy melody of his own on bass. Part two of “One For Trane” features Shepp out front riffing with his raw, dissonant, sometimes howling sax, bluesy and joyful and playful, before the band joins in for more orchestral fun, the trombones exchanging rolling lines of mirth on their own, over Harris’ slashing drums and Garrison’s romping bass lines, all a framework for a sly segue into “A Shadow of Your Smile,” Shepp at once romantic and melancholy before roaring back into his in your face, wailing mode. 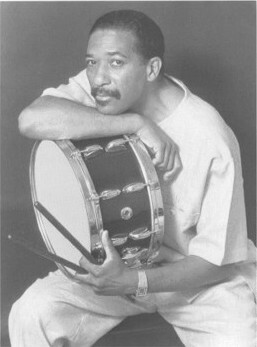 An expert on tension and phrasing, as well as wit, in addition to sound, Shepp well deserves his place in the jazz master pantheon. Further the heritage by signing up a young person for a jazz camp this year. Saxophone and festival guru Paul Carr’s Jazz Academy offers “Two Fun-Filled Camps For Ages 10-18” including jazz improvisation, jamming with instructors, small combo sessions, big band format and master classes. The JAM Camp runs June 27-July 15, at Sligo Middle School in Silver Spring, and the National 4-H Conference Center in Chevy Chase, and the JAM Lab July10-15 is at the National 4-H Center. For complete information go to http://www.jazzacademy.org or call 301-871-8418. 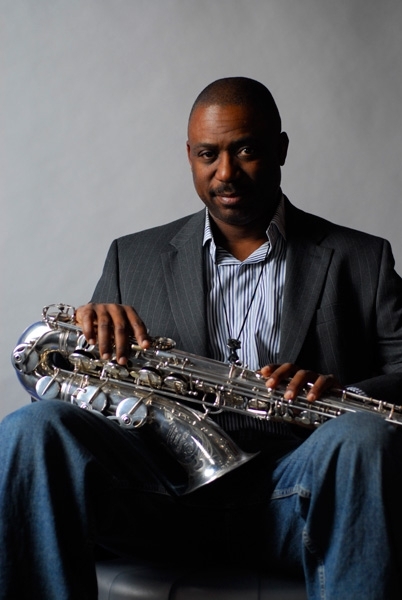 Alto saxophonist, composer and educator Carl Grubbs runs his Jazz Academy with Carl Grubbs for ages 8-16 July 11-22 at Ellicott Mills Middle School in Ellicott City, Md. (Contact Howard Co. Dept. of Recs and Parks, Holly Harden 410-313-4625.) Then there is the SAX: Music & Dance Camp Program for ages 4-17 Aug. 1-12 at Loyola University Maryland in Baltimore, with a closing program and concert Aug. 11 open to the public. For complete information, go to http://www.contemporaryartsinc.org. Steve Monroe is a Washington, D.C. writer who can be reached at steve@jazzavenues.com and followed at http://www.twitter.com/jazzavenues.